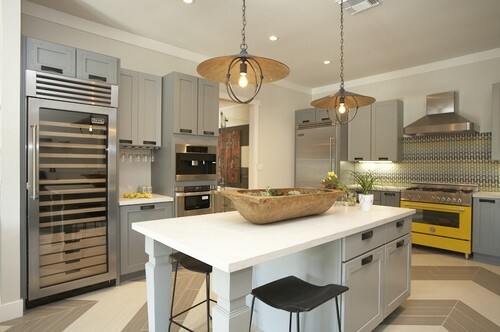 Depending on your cooking preferences, your appliances may be the most expensive purchase that you make when designing or updating a kitchen. 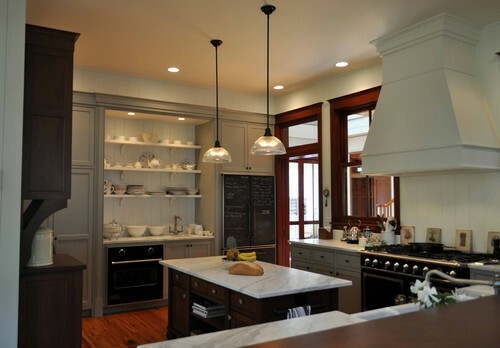 After all, a kitchen without appliances is just a storage room with cabinets and counters. When you’re buying appliances, the choices can be overwhelming: what do you need? Where should you spend and where can you save? What size? What brand? And – this is typically the first decision you’ll have to make – what color? 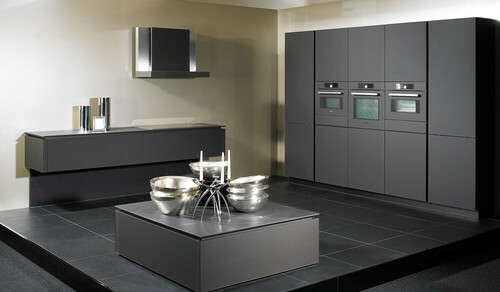 Today there are more appliance finishes than ever before to choose from. 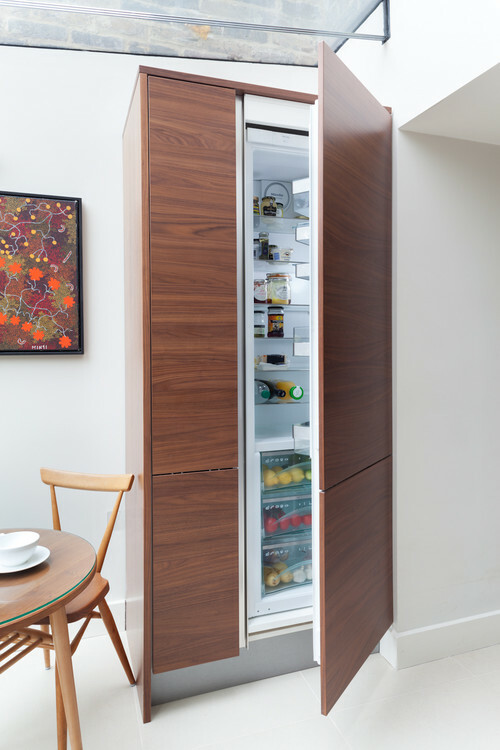 (Disregarding the era of avocado refrigerators.) 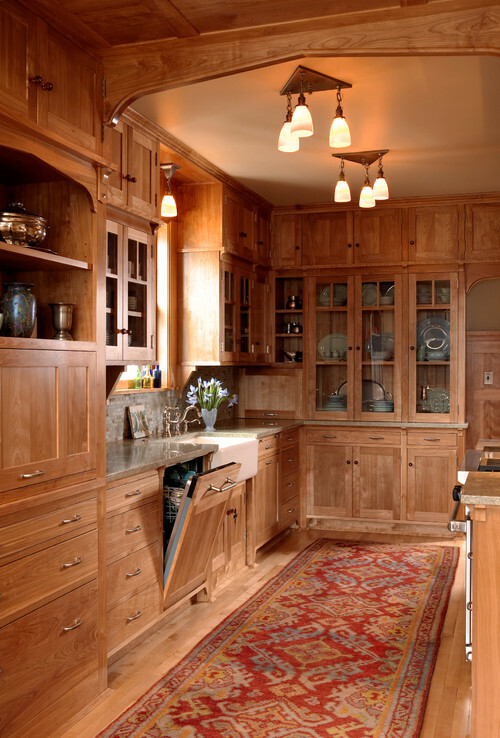 Read on to find out the pros and cons of each finish and to view pictures of flawlessly executed finishes. 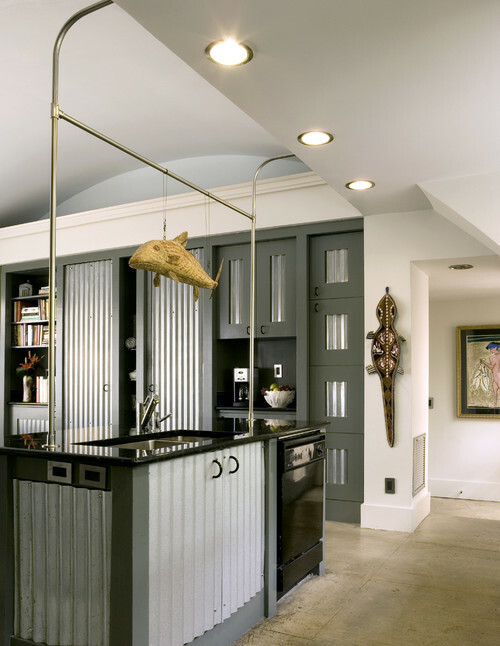 In years past, stainless steel has been the gold standard for kitchen appliances, a sign that you’ve made it in life. 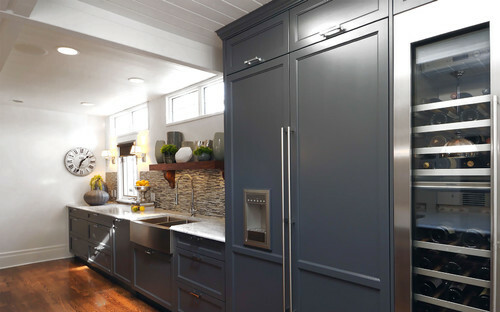 Today, much like granite countertops, stainless appliances are still the first choice in kitchen design but are regularly deemed ubiquitous and overdone by design professionals who have gotten sick of them. Regardless of the negativity, stainless steel is practical, sleek, and coordinates with virtually all colors and styles of kitchens. While it’s gotten a bad rap for fingerprint-proneness, many manufacturers offer fingerprint-repellent finishes that look like stainless without the need for constant wiping down. 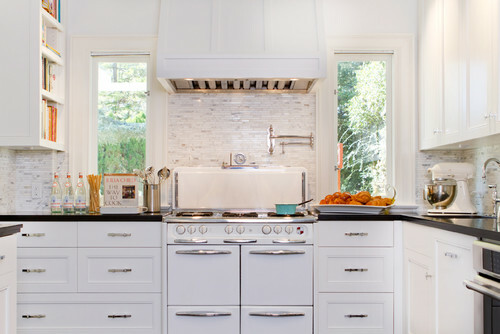 Though it may look dated to many, white appliances are still popular and may even be gaining popularity. 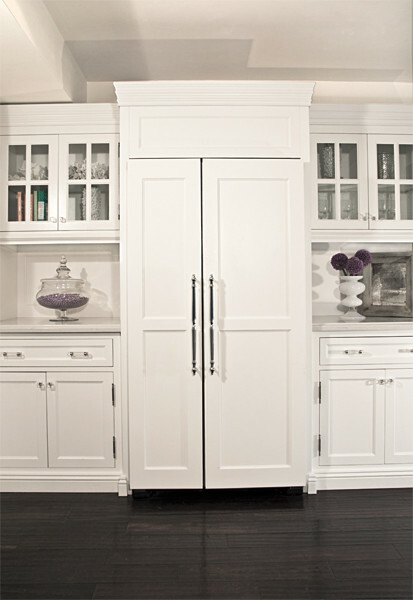 White is classic and typically less expensive than stainless steel. 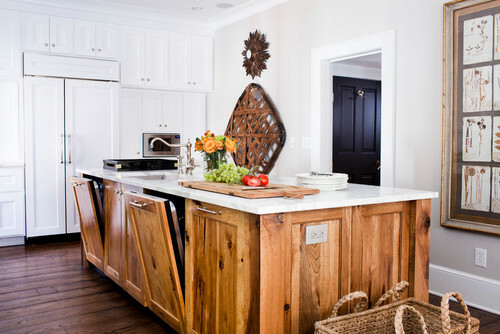 It’s a good choice for dark kitchens as it lightens the space, and it won’t overwhelm a small kitchen. 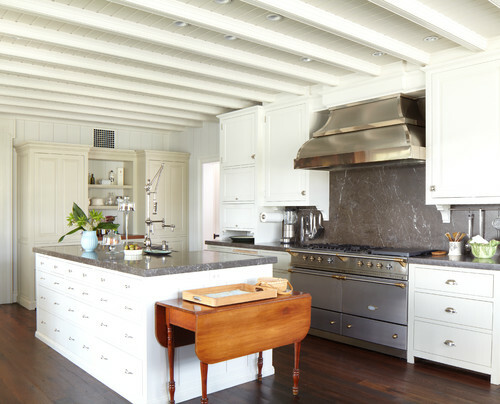 White also blends beautifully in modern all-white kitchens and is often the best choice in vintage kitchens where stainless would look out of place. 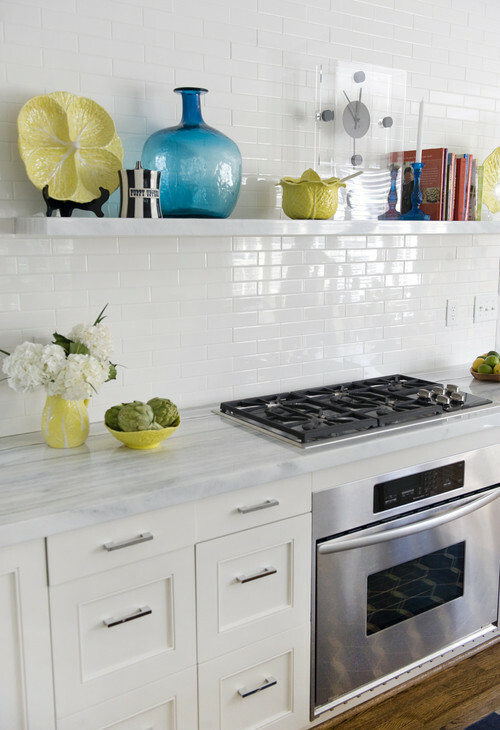 In kitchens with bold cabinets, backsplashes, or other features, white allows the showpiece to stand out. A downside: white appliances will show more dirt and look grimy if not cleaned properly and regularly. 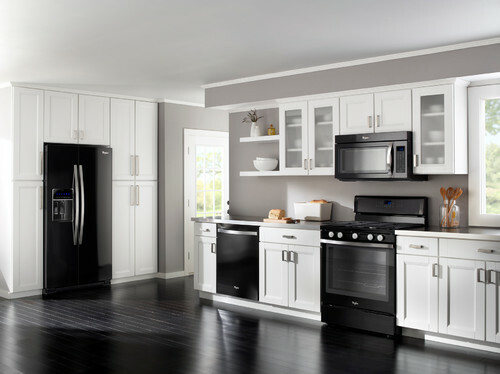 Black appliances are frequently the “default” appliance around which homeowners design their kitchens. 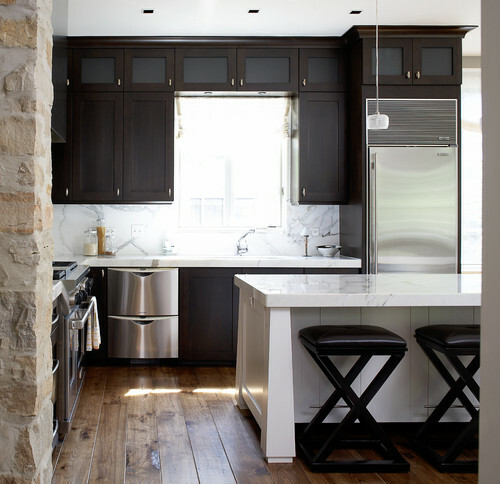 Black tends to darken the kitchen, so it is not recommended for use in small kitchens. 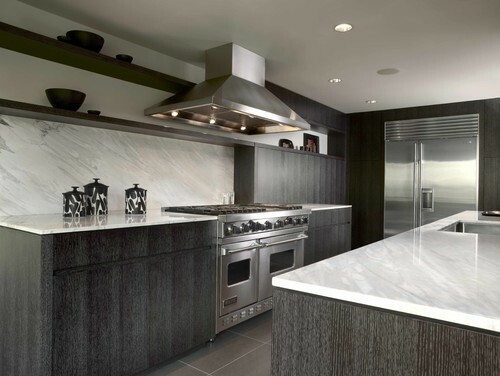 However, many choose black – especially glossy black – to add drama to a kitchen; it can look striking in an all-white or pale kitchen or pick up on black accents (like island cabinets). Bonus: it shows less dirt than other finishes. 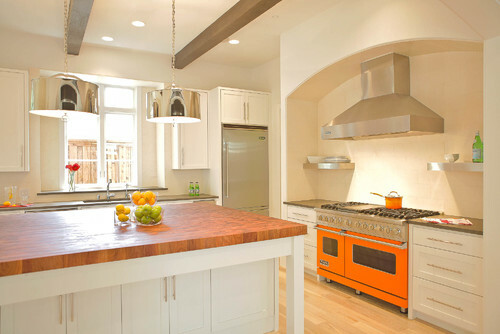 When you really want your appliances to pop, consider one in a color. Not the dull colors of the 60s, but fresh, vivid colors that will make you smile when you use them. 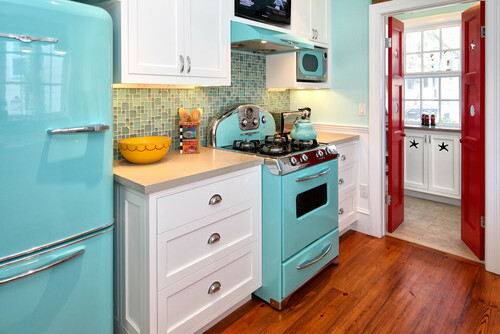 Colored appliances tend to be vintage or retro, so if that’s not your style you may want to steer clear of them. Introducing colors is definitely different – it’s a very personal choice, and may be risky as today’s fun colors are likely to be tomorrow’s Harvest Gold. 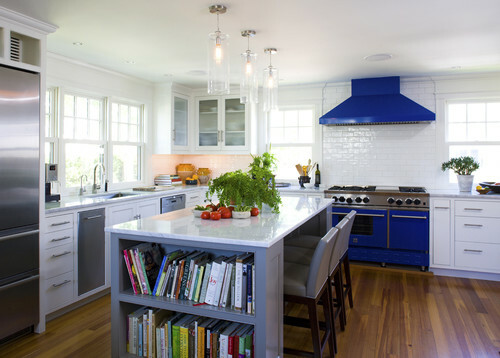 Some manufacturers like Smeg, Big Chill, Aga, and Blue Star offer colored appliances, while others must be custom powder-coated. 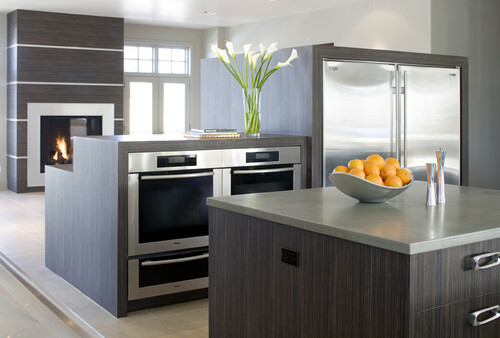 If you’d rather your appliances blend as much as possible rather than stand out, choose panel-ready appliances. 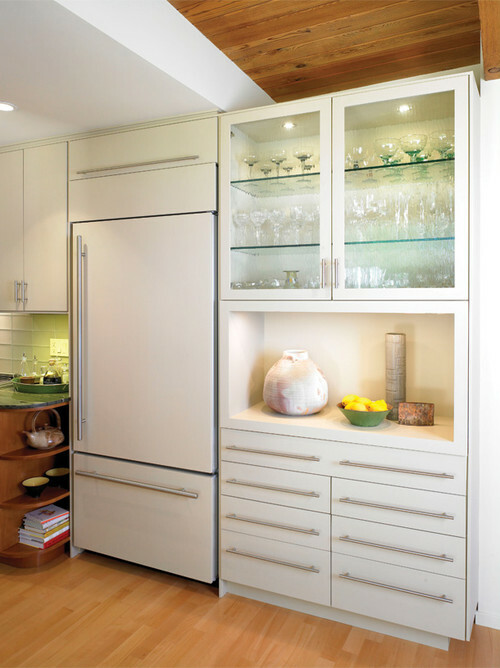 These appliances are fitted with customized panels to match your cabinetry, allowing them to disappear. While paneled appliances give your kitchen a uniform look, repairs may be more difficult and replacements can be challenging. Additionally, your preferred appliance may not be available panel-ready and are generally more expensive. 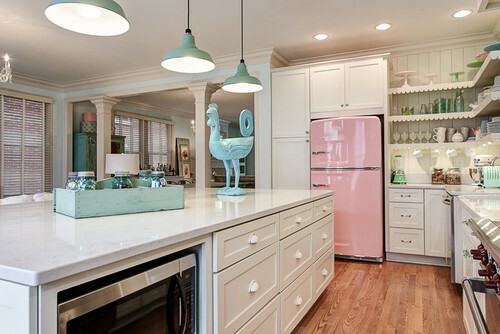 Great photos of each style of kitchen appliances. 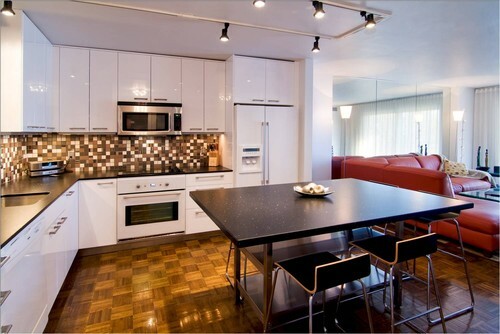 I definitely always lean toward stainless steel appliances – I love the sleek finish.